DELFINIA was founded to address the needs of discerning travelers seeking an authentic, insider’s view of Greece & the Mediterranean, without sacrificing comfort and amenities. Throughout many years exploring this region, we found it difficult to come by reliable information on accommodations, dining experiences, leisure activities, or transportation options that would meet our standards as seasoned world travelers. On our personal quest to find the “best of Greece & the Mediterranean”, we uncovered “diamonds in the rough” and true “gems,” as well as our share of disappointments. But we always kept our standards high. We discovered accommodations where service and ambience were unparalleled, unspoiled beaches that had escaped the crowds, and wonderful restaurants that transformed locally sourced ingredients into truly memorable meals. The result is our list of “favorites” – hotels, inns, tavernas, restaurants, yachts, villas, food and wine experts, tour guides, and leisure activities that will satisfy the most demanding of travelers seeking both luxury and unique, authentic experiences in Greece and the Mediterranean. It is for this reason DELFINIA was founded – to share our “top picks” with you! Nancy has spent many weeks during each of the last fifteen years exploring Greece & the Mediterranean with family and friends. Revisiting favorite destinations and discovering new ones, she has windsurfed in the islands, hiked mountains and explored caves, toured wine country, relaxed on pristine beaches, and dined at the full range of regional tables. Her love for the region endures and she continues to be drawn by its sheer beauty, exceptional cuisine, and the warm hospitality of its people. Great People – from our Professional Drivers to our Expert Guides, each of DELFINIA’s experienced service providers have been personally selected to ensure the highest standards. Nancy holds the Intermediate Certificate from the Wine & Spirit Education Trust in London (WSET). She also holds a Masters in Business Administration (MBA) from Columbia University in New York and was formerly an investment banker. When not traveling throughout the region, Nancy can be found with her family in Connecticut. Nancy welcomes you to explore magnificent to Greece! Sylvia’s international and multilingual upbringing has developed her natural propensity for travel at an early age. She has lived in and visited more than 40 countries in the world for professional and personal reasons, enjoying what she loves best: people, cultures, food and memorable experiences! What does luxury mean to her? Above all, Sylvia pays very close attention to detail. She gets to know her clients. Her professional experience in the international Hospitality and Event Management business have exercised her curiosity, keen observation and creativity to produce authentic, personalized and unique travel experiences that respond to her clients’ expectations for that one-in-a-lifetime dream vacation or event. 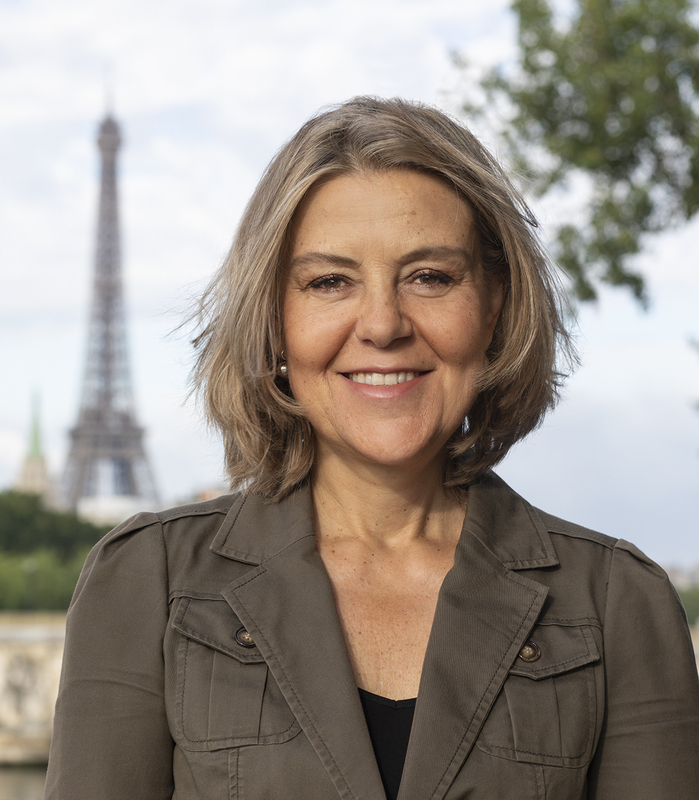 Sylvia holds a BA in International Business Administration from the American University in Paris and the Advanced French Language and Culture Certificate from the Sorbonne. She has also trained and worked as an Independent General Agent counseling and insuring families and businesses. She has made France her home and looks forward to welcoming you to Paris and the French Riviera!